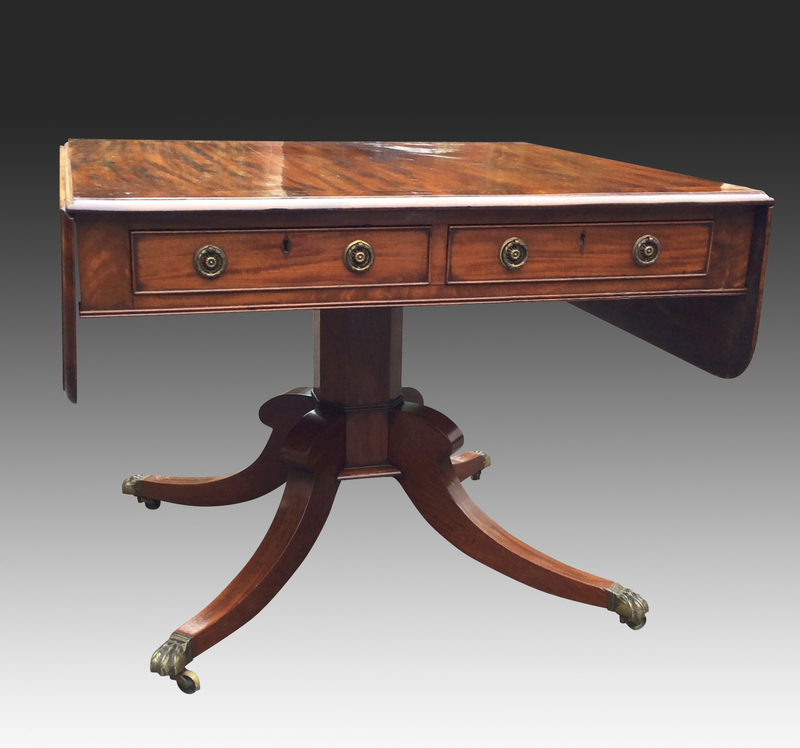 A good quality antique Regency sofa table with a well figured solid mahogany and cross-banded top. 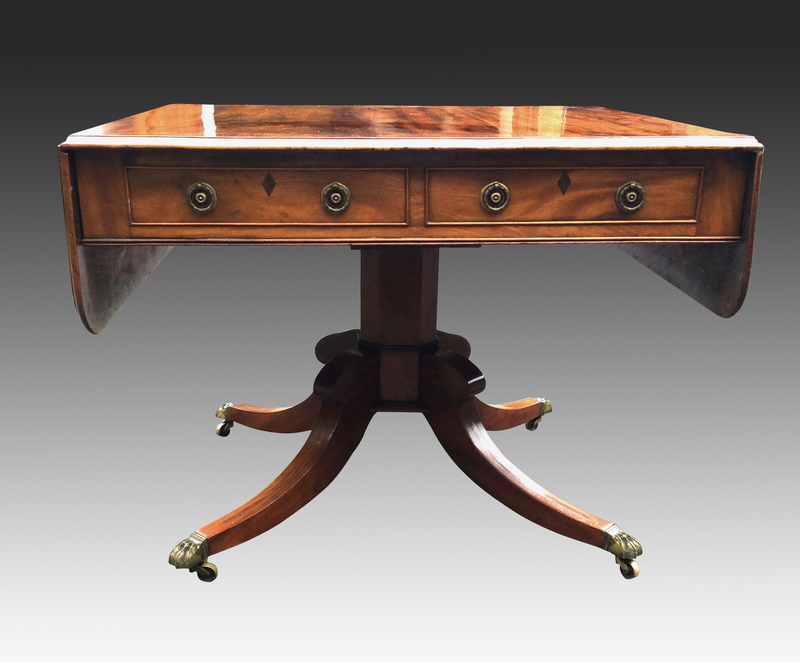 The top has a 'bull-nosed edge and drop flaps to either end supported by the original adjustable supports. The frieze is fitted with two drawers to the front and two faux (dummy) drawers to the reverse. The drawers have hand cut dovetail joints, brass locks and handles and rosewood, diamond shaped, escutcheons. 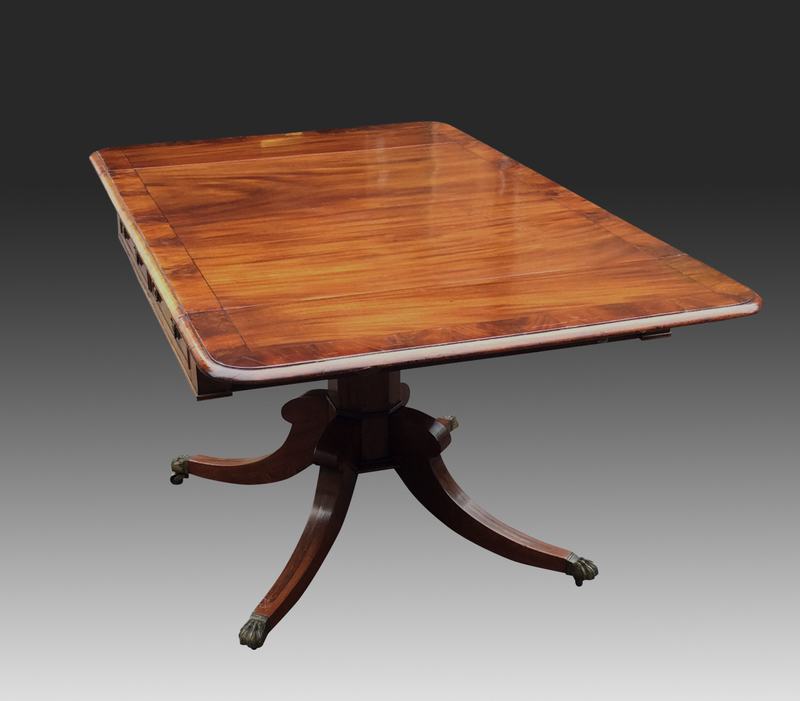 The table stands on an octagonal central column with four sabre legs, with the original 'hairy paw' brass castors. 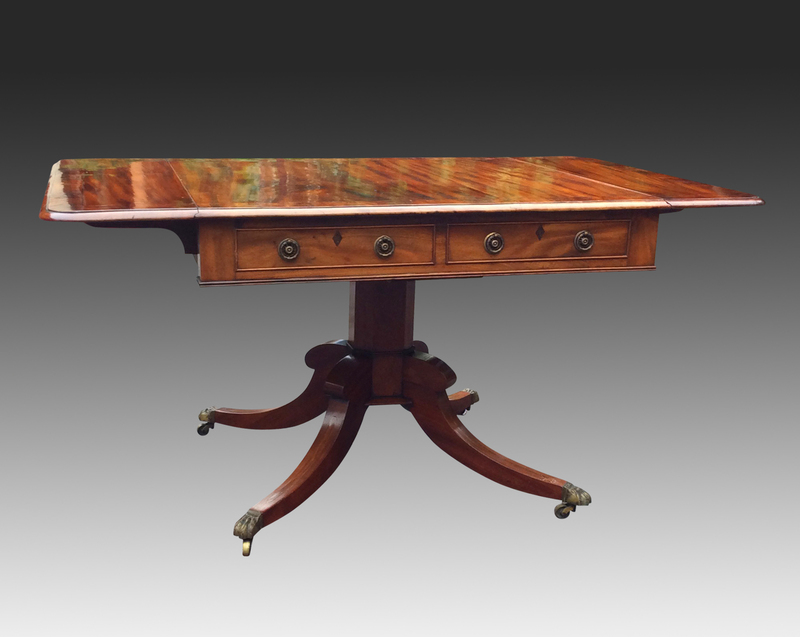 The sabre legs are inlaid with a strip of rosewood to the top edges. 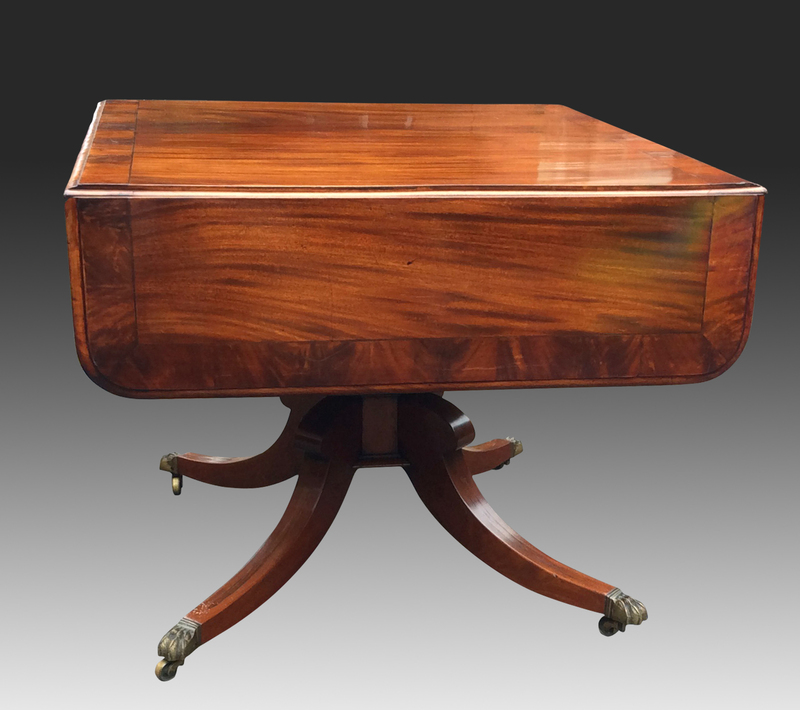 This very elegant antique sofa table is well proportioned, a very useful size and has a lovely "Sheraton" mahogany colour.